Many people have underestimated the stubborn determination of Jacko, a self- proclaimed ordinary English lad of Asian decent who was destined to follow his dreams. Jacko may have been ‘ordinary’ but his pursuit of his personal ambitions saw him eventually become 5 times World Kickboxing Champion. 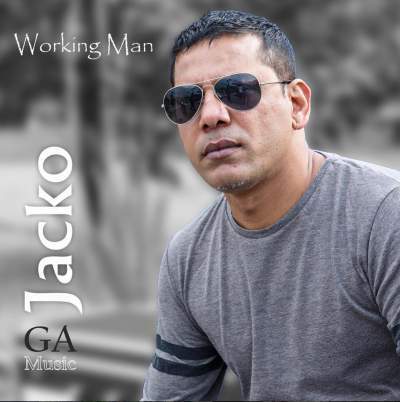 Although initially this may sound like a disjointed career path, the more you get to know Jacko, his determined nature and his unfaltering approach to life, the more you will realise that his next step as a recording artist makes prefect sense. Born in the east end of London in 1969 as a British/Bengali family, Jacko’s story is reflective of the hard working, drive and determination many immigrants and second generations to this country are instilled with, grabbing every opportunity with both hands. Even with such early success and an impressive kickboxing career, Jacko will not stop..! and continues to set records and break boundaries against all odds. Having never sang before in his life until august 2015, Jacko believe music has come to him now and he believe it is a gift and a miracle in his life and he want to explore and totally dedicated his life to making amazing music. Jacko already have 3 music studio’s set the highest standard and working around the clock to complete his album. Jacko doesn’t believe in failure. He doesn’t believe in the word ‘no’ or the word ‘can’t’ and he has an impressive list of achievements, which are testimony to that. I’ve changed the whole course of my life just like that and now all of a sudden I’ve got an album coming out, with amazing tracks. Jacko’s debut single released back in November 2015 ‘Give My Love A Brand New Name’ features the famous British, super model, Jodie Kidd. “She Commented” I was blown away when I found out that Jacko’s just recently started to sing and I love the track. June 2016 Jacko released a single called “You Are The Reason” a song he wrote for his daughters. From the forthcoming album called “Love Rocks”. Jacko his song will touch many peoples heart and it did.